• Kanan Jarrus–in STAR WARS REBELS, he’s a cocky, sarcastic renegade fighting against the Galactic Empire alongside the rag-tag crew of the Ghost…but years before, at the height of the Clone Wars, he was known as Caleb Dume, Jedi Padawan under the instruction of Jedi Master Depa Billaba. Neither master nor apprentice ever suspected that the Clone Troopers they commanded would turn on them upon the issuing of Order 66—the order to execute all Jedi. How did Caleb Dume survive? How did he learn to survive on his own? And how did he become the man we know as Kanan Jarrus? 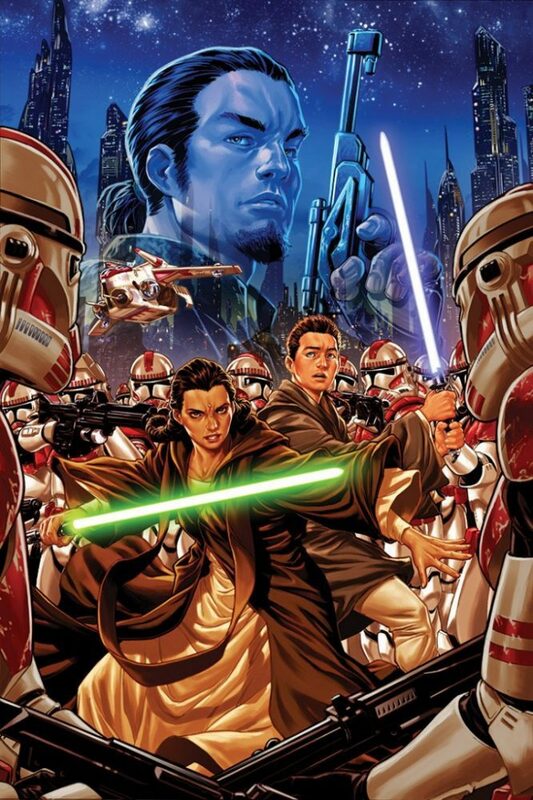 Writer Greg Weisman (writer/executive producer on STAR WARS REBELS, SPECTACULAR SPIDER-MAN) and artist Pepe Larraz (DEADPOOL VS. X-FORCE, THOR, INHUMAN) bring us a tale bridging the years between the Clone Wars and Rebels! • Leia’s mission leads to the underground world of Sullust! • The Empire’s forces are on her trail and gaining! • Join the galaxy’s toughest Princess on a quest to save her people! 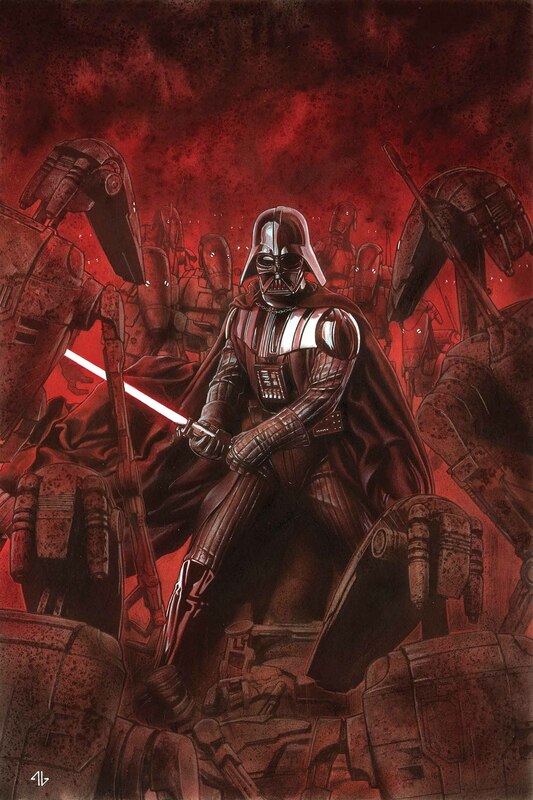 • Revenge of the Battle Droids??? 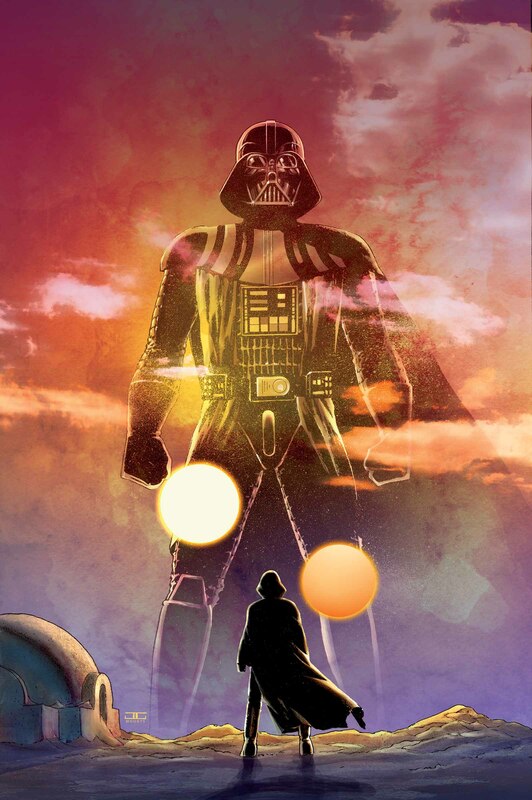 • Vader returns to Geonosis to build his army! • The Dark Lord’s ascension continues! THE GREATEST SPACE ADVENTURE OF ALL TIME CONTINUES! • Luke Skywalker is NOT a Jedi—not yet, at least. • He’s only ever met one Jedi in his life…and he died. • So, Luke’s quest leads him back to Obi-Wan’s hut…on Tatooine. Marvel is also releasing a Legends comic collection, on May 26, 2015. When the Empire falls, a New Republic rises! After Star Wars: Episode VI — Return of the Jedi, Emperor Palpatine is dead — but can his faithful Hand, Mara Jade, complete her final mission of revenge? Replica droid assassin Guri has also lost her master…but as she struggles for humanity, her android brain makes her a target! When rivals clash over Jabba the Hutt’s criminal empire, the Bloated One makes a surprising appearance! And a mysterious doppelganger is asking for trouble impersonating everyone’s favorite bounty hunter — it’s Boba Fett vs. Boba Fett! Collecting STAR WARS: MARA JADE — BY THE EMPEROR’S HAND #0-6, STAR WARS: SHADOWS OF THE EMPIRE — EVOLUTION #1-5, STAR WARS: THE JABBA TAPE, STAR WARS: BOBA FETT — TWIN ENGINES OF DESTRUCTION, and material from STAR WARS TALES #1, #3-5, #10, #14-15, #20 and #22. All of these new comics sound fun and interesting (I’m especially curious to find out what Luke discovers in Obi Wan’s hut on Tatooine. 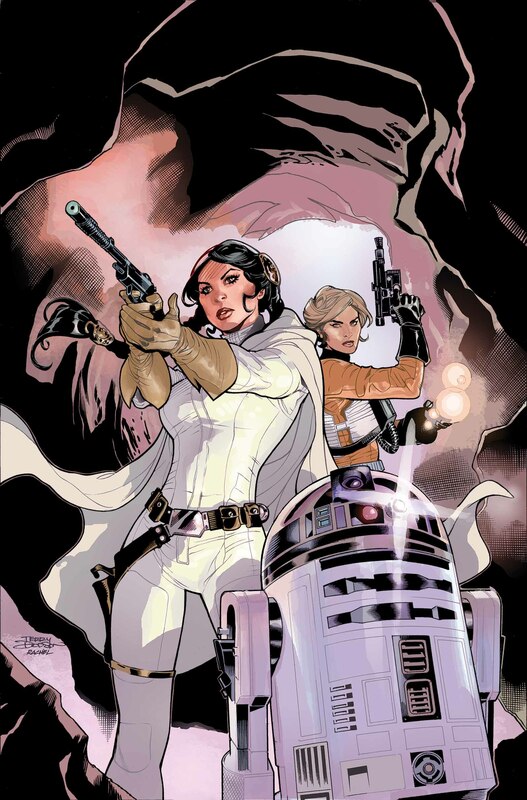 Also, looks like Leia has a female Rebel friend!). Look for them in April, and keep an eye out for the Legends collection in May.